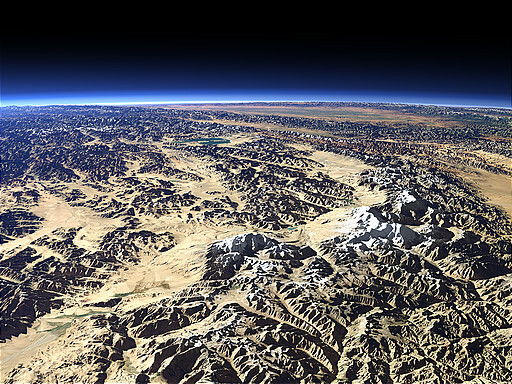 The Kongur Tagh and Muztagh Ata Mountains are located in the far west of China southwest of the Taklamakan Desert that is visible at the right side of this view. 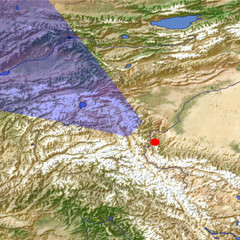 Muztagh Ata in the center of the image has an altitude of 7546m and Kongur Tagh more to the right is 7649m high. Behind the mountains the Pamir Plateau with the Karakul Lake can be seen.